A dog only wants a few things…a person to love, a bowl of food, and a comfy place to rest. 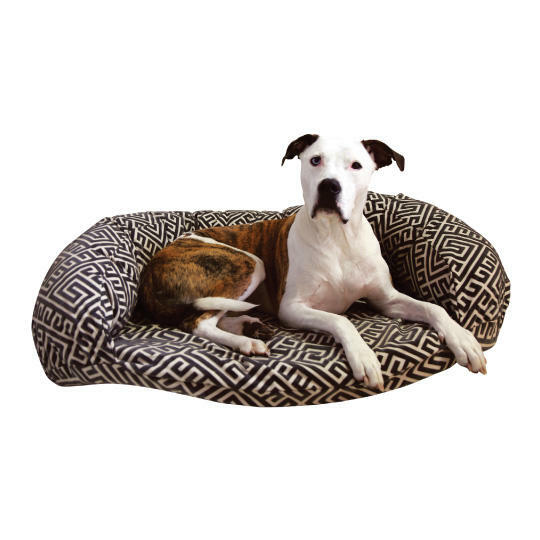 With that in mind, our Mississippi Made dog beds come in many styles such as donut beds, rectangle beds, day beds, and snoozepads, and make a great place for a dog to curl up. Our cotton fabrics are made in Sherman, MS with cotton grown in the fields of the Delta. Every detail of our dog beds, from the patches to the zippers, is made in America and assembled right down the road in Mississippi. Hollywood Feed wire crates provide the perfect place to start house training or to keep your dog out of trouble in your absence. 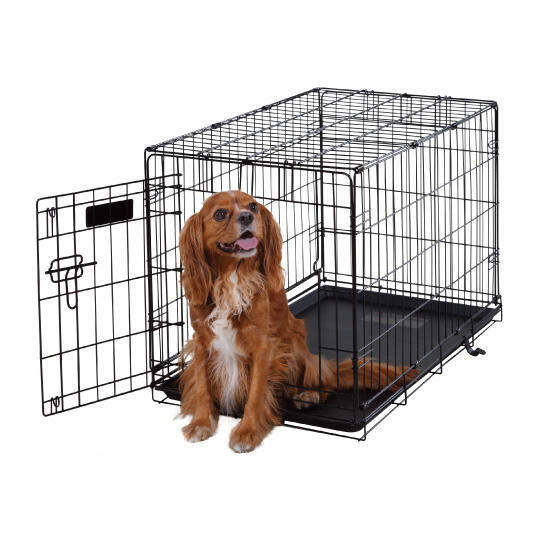 Our crates are designed with a divider so that you can purchase a crate to fit your dog at full-grown size but section it off to help with house training as your dog continues to grow. Naturally formulated with fresh chicken, brown rice, real cheese & whole eggs. 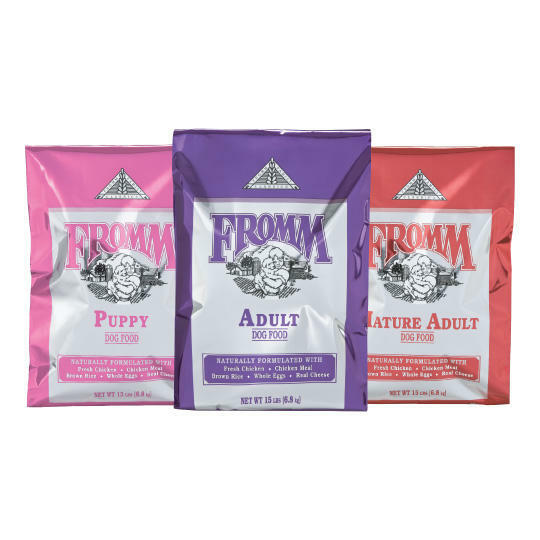 Fromm Family Classics - Developed to provide your puppy, adult, or senior dog with complete and balanced nutrition. Classic was specifically formulated with protein and fat levels that safely meet the needs of a wide range of dogs, from the family pet to the show dog. 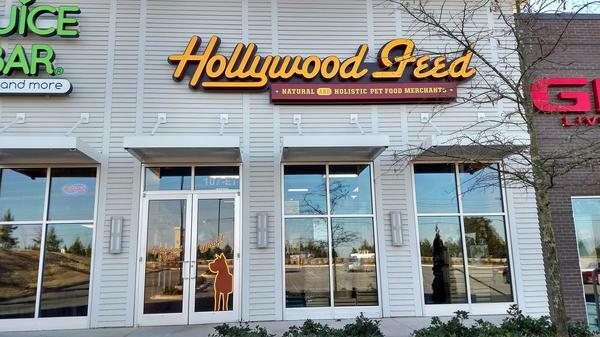 Hollywood Feed is a natural and holistic pet specialty retail store. We aim to provide superior customer service and work to improve the lives of pets. Hollywood Feed was established in 1950 as the local feed store on Hollywood Street in Memphis, TN. We counted the Memphis Zoo, Memphis Animal Services, and the Memphis police force among our original house accounts. Over the next three decades, Hollywood Feed was the place to get pet food, good advice, and friendly service. After being customers for many years, the current owners acquired Hollywood Feed in 2006 with the intention of building on the legacy of helping pets, their owners, and people in the community. Today, Hollywood Feed continues our commitment to help pets and people by offering our four-legged friends high-quality foods, USA-made treats, toys, beds, and more. Our Feed Team sales associates receive over 40 hours of training from veterinarians, nutritionists, vendors, and behaviorists every year. We believe the best customer service involves helping pet owners make informed decisions about pet products. Hollywood Feed also remains committed to the community. Our "Made In" products are sourced 100% from the United States and produced by Americans in the communities we serve. In addition, we donate over 100,000 pounds of dog food and other supplies every year to our rescue group partners. Each of our retail locations hosts regular adoption events with local shelters and rescue groups. At Hollywood Feed, we have always believed in doing what is right for our customers. We take pride in the services we offer, the products we sell, and the pets and people we help every day. That’s why we stand by our Hollywood Feed Promise: "If your pet doesn't love it, or you don't love it, we'll gladly replace or refund it." We invite you and your furry family members to come see why Hollywood Feed is a different breed of pet supply store. All the ladies that work at this store are so friendly and willing to help you with anything you might need or trying to find. I don’t go anywhere else for my pets needs. Hollywood Feed as everything!! Sherri, thank you so much for your positive review! Our staff attends 40-50 hours worth of training on both products and customer service throughout the year to learn how to best serve our customers! It is always a pleasure to have such wonderful feedback! It doesn’t matter who is working when you visit because they are all great very helpful! I love how much information is relayed to you when you ask a simple, I definitely trust them with assisting me with caring for my dog. Donte, thank you so much for your positive review! Our staff attends 40-50 hours worth of training on both products and customer service throughout the year to learn how to best serve our customers! It is always a pleasure to have such wonderful feedback! Always very friendly and helpful. Great store! Danielle, we are always excited to receive such an amazing review! Great customer service is always something our associates strive for and we are happy to have such great feedback! My dogs and I enjoy visiting Hollywood Feed. The people are great and very helpful. Thanks for the wonderful review, Keith! Our team works hard to provide the best experience for all of our guests!! We are so happy that you were pleased with your visit - and we hope to see you again soon! Laura, thank you so much for your positive review! Our staff attends 40-50 hours worth of training on both products and customer service throughout the year to learn how to best serve our customers! It is always a pleasure to have such wonderful feedback! Dianna, thank you so much for the wonderful review! Our team strives to make every customer's visit the best experience possible! We're thrilled you're pleased and hope to see you again soon! Staff all have great customer service practices and their products are excellent. We appreciate this amazing review, Cindy!! Our team works hard to provide the best experience during each visit. Come back and see us again soon!! I always enjoy how the staff is so friendly and helpful when I visit. Great recommendations on what to buy! Thank you so much for the amazing review, Janet! Our customers often start to feel like family after a while! We attend monthly nutrition and product training to ensure we recommend the best products for your fur-babies! We hope to see you again soon! Great customer service, love this store. Thank you for this great review, Phyllis! Our team strives to create the best experience during each visit!! We appreciate this great review, Teresa!! We hope to see you again soon!! Excellent customer service! The staff here are always attentive and informative when I have questions about a new product. They don't just list off the benefits of what I'm looking at, they inquire about what I am trying to do to help better my pups to make sure I get what I need. Thank you for this amazing review, Holly!! Our team attends classes each month so that we can stay up to date on product knowledge, pet health, and nutrition. This gives us the tools to find out what products will work best for your specific pets!! We hope to see you again soon!! Great service! The employees are helpful and always have wonderful attitudes. We appreciate this great review, Emily!! Our team strives to provide the best experience for all of our guests. We hope to see you soon!! I love this place and so do my dogs! They are so friendly; even if the dogs don’t come with me, the staff always asked about them. The store is well stocked with the best of everything. It is so clean. We appreciate this great review, Donna!! Our team works hard to provide the best service to all of our guests - especially our four-legged guests!! We hope to see you again soon!! We appreciate this great review, Shannon!! Our team attends monthly training sessions to stay up to date on our products to better serve your pets! We hope to see you again soon!! We appreciate this great review, Marla!! We hope to see you again soon! LOVE, LOVE, LOVE Hollywood Feed!! All the ladies who work there are very nice and knowledgeable and always eager to help! Oh, and can I mention that it ALWAYS smells wonderful in the store! Keep up the good work! Wow! Thank you for this great review, Carrie!! Our team works hard to provide the best experience for all of our guests!! We are so happy that you've been pleased with your visits - and we hope to see you again soon!! Great selections. Wonderful and knowledgeable employees!!! No need to go to the "big box" pet stores! Enjoyable place to shop! The staff at this location are always so helpful and love on our dogs when we bring them in! ©2018 Hollywood Feed. All rights reserved.